‍Around the corner is Chinese Lunar New Year as the curtain of the 2019 CCTV Spring Festival Gala, also known as Chunwan in Chinese, will be raised on Monday night. Since its first live broadcast by China Central Television (CCTV) in 1983, the gala has evolved into a new tradition, overwhelmingly popular in the diaspora Chinese communities, and an ultimate festive TV show with billions of viewers worldwide. 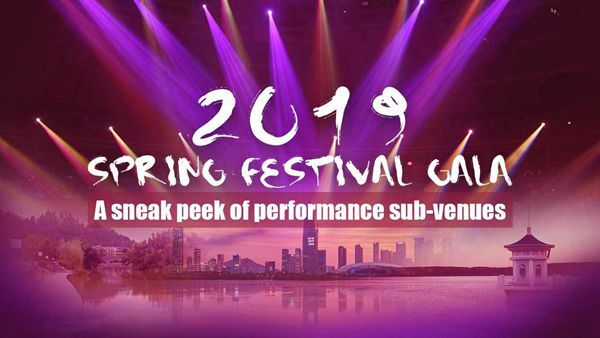 As one of the most anticipated TV events in China, the gala itself also makes it a point to include people across the country in the show by setting up the main stage plus multiple sub-venues. The 1996 gala for the first time was staged at the main studio in Beijing and in the sub-venues of Nanjing and Shanghai. It is, however, since 2016 that the gala has continued the plan and made it a fixture. The 2019 gala will be produced by the China Media Group (CMG) and broadcast from separate studios in the cities of Jinggangshan in southeastern Jiangxi Province, Shenzhen in southern Guangdong Province, and Changchun in northeastern Jilin Province, in addition to its major venue in Beijing, according to an earlier announcement. The gala's crew revealed that rehearsals held in the past two weeks all run successfully. Some highlights can be expected from each venue, which makes the cross-country celebration more expectable. We would like to share them all with you. Known as the "cradle of the Chinese revolution," Jinggangshan is a county-level city situated in the southwest of Jiangxi Province, southeastern China, which is famous for its original ecology and rich culture. It is an indispensable position in modern Chinese history, as well as green environment nowadays, that makes it stand out as one of the gala's venues. One of the gala stages in Jinggangshan is nestled among mountains and particularly designed to create a perfect blend of theater art and natural environment. Following a hillside slope, the main stage is built into an 11-layer terrace-like stage with a small part stretching into a small lake in the front. Performers in traditional costumes play onstage as if they were singing and dancing on the terraced fields and along the river. Folk songs passed down by generations and new adaptations will be showcased to present both old and new spirits of the local people. Celebrated actress Liu Tao, a native of Jiangxi, will show her musical talent there. Local plants and signature flowers will also be featured including more than 10,000 bamboos and clumps of tea tree. At the same time, some key elements in the native's daily life like bamboo rafts will also be presented. Aside from diverse cultural images, the gala's sub-venues are further upgraded to bring a brand new visual feast as the country's biggest festive extravaganza is embracing today's hottest scientific and technological achievements like virtual reality (VR) and artificial intelligence (AI). Shenzhen, in south China's Guangdong Province, is in the spotlight again this year for being the gala's sub-venue for the second time. For the first time, the sub-venue performance will be broadcast live in 4K ultra high-definition through a 5G network after a successful test in the city. Located at the central plaza that is surrounded by skyscrapers in downtown Shenzhen, the gala's stage is being built as the "City of Future," where emerging-technological elements are featured. During Shenzhen's seven-minute show, you will likely see arguably China's youngest metropolitan city put on a fantasy light show with 43 high-rises decked out in synchronized neon lights to display gala-themed animations. More than 1,000 unmanned aerial vehicles (UAV) will present a grand spectacle of festivity in the sky. And on the ground covered by LED displays are 150 pianos played by "a secret guest" with renowned pianist Lang Lang as some of the most unique parts of the ceremony. Dubbed as China's "Motor City," Changchun in northeast China's Jilin Province sets up the performance venue at China FAW Group Corporation. It is a local-based automotive manufacturing company at the forefront of promoting China's automobile industry. Vehicles will serve as significant stage props, contributing a grand automotive lighting show, while a song that pays tribute to hardworking people is being performed by famous actors Liu Ye and Bai Yu, alongside autoworkers. The northernmost performance sub-venue will showcase winter sports and a fantastical, larger-than-life world carved out of ice and snow. VR technique is being applied to the programs to add more fantasies. 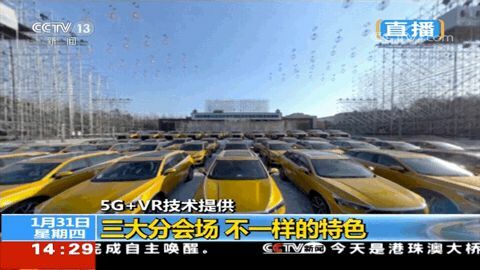 Also, VR real-time transmission via a 5G network will be used to live broadcast the stage in Changchun. Around the corner is Chinese Lunar New Year as the curtain of the 2019 CCTV Spring Festival Gala, also known as Chunwan in Chinese, will be raised on Monday night.